Why Buy From Progressive Chevrolet? Need Even More Reasons to Shop at Progressive Chevrolet? 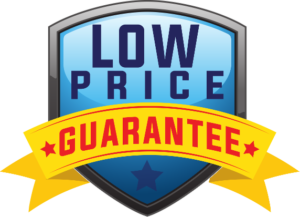 With our Low Price Guarantee, you can be sure you’re getting the best deal in the area on your new vehicle purchase! We’re confident our prices are the lower than our competitors and if we don’t beat their price we’ll give you $10,000! Progressive Chevy offers FREE oil changes with any new or pre-owned vehicle purchase for 3 years! We make the pre-approval process easy for you. Our secure, quick and free pre-approval application will help speed up your buying process! Progressive works with many lenders to help get you the financing you need. We’re completing 80 acts of kindness in the community to celebrate our 80th anniversary. We’re working with organizations such as the Humane Society, Little League and local high school marching bands. In fact, we helped start the Massillon Little League program. Progressive Chevrolet is a major sponsor of the Stark County Fair. Every Sunday for the rest of 2017, Progressive Chevrolet will be open! All our employees have contributed to the Progressive Civic Fund that has raised over half a million dollars. DealerRater.com named us the Chevrolet Dealer of the Year for Ohio in 2016. Progressive Chevrolet is pleased to offer top-notch Chevrolet sales, service and financing to Ohio Chevy fans. With our lasting commitment to providing an unforgettable customer experience, our Chevy dealership in Massillon, OH, has proven itself as an integral part of the community. We’ve been in business for 80 years and through four generations of our family, so you can feel confident that we know exactly how to tend to your car-shopping needs. Time-tested service and an expansive inventory have helped us establish a community-focused Chevrolet dealership serving Ohio towns such as Akron, Canton and Cleveland. Here at Progressive Chevrolet, you’ll find a vast selection of new and used Chevy models, all available at enticing price points. Whether you’re looking for a durable pickup truck like the Chevrolet Silverado or a compact commuter car like the Chevy Cruze, our inventory has exactly what you need. Thinking about getting behind the wheel of an SUV? Test-drive the Chevy Equinox or Traverse, today! Once you choose your ideal vehicle, our finance team will help you decide on an auto lease or loan that fits your lifestyle and budget. Plus, our Chevy service center will be here to support you throughout your vehicle’s lifetime. From routine maintenance like oil changes and tire rotations to significant repairs, there’s nothing our team of talented technicians can’t handle.